Catrice Cosmetics are the latest brand to come out with a gel look system without the need for UV lamps so you can get that salon look in the comfort of your own home and at a fraction of the price. 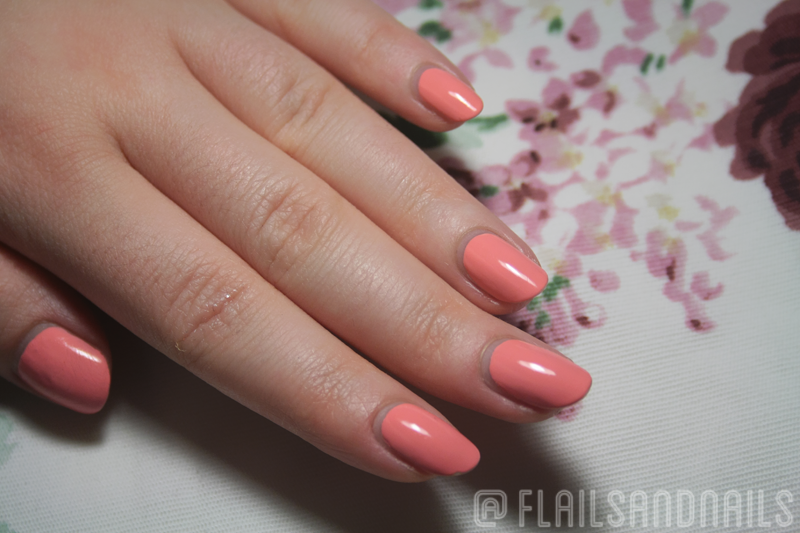 For myself, since I change polishes so often, I never really have to think about whether my polishes stick around for more than three days or so but for this review, I stuck with it and kept my Catrice gel-like nails for 7 days so here's how they coped with my week! So what were my first impressions of the products? The base was quite sticky and thick, which I can only imagine helps the polish adhere to the nail better. It's different from what I'm used to but it's probably the product I'll most use out of the system. 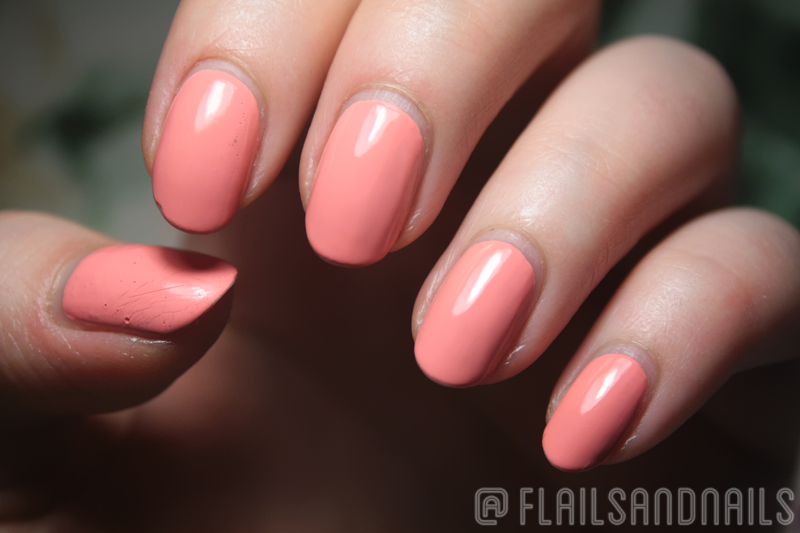 The actual polish shade, Ultimate Nail Lacquer in A Gallon of Melon, is a pretty pink coral shade which would be perfect with a tan. The polish is very thick so you must be careful about not loading the brush with too much product but it went on really opaque and you only need two thin layers. The brush as well was a dream to work with, nice and wide, you could almost get the whole nail in one brush-stoke. The top coat was Seche Vite-esque in that it was thick and dried quite quickly, leaving a nice glossy finish. One thing I noticed was that it did bubble a little bit on some nails but I experienced this with the Models Own Hypergel topcoat so it might just be to do with the whole faux-gel finish but just be mindful of that when you're applying it. Overall, my nails don't look too bad after a week with no touch ups. Just to get an idea of how my week went and how much I use my hands/nails, they survived a trip to IKEA, typing every day for several hours in uni, washing dishes at least once a day, sorting through clothes and removing tacks from my walls (project bedroom overhaul is underway!) so my nails did take a bit of a battering this week and they held up well. You can see there is a small chip on my index finger and this is from trying to fish out a baked potato from a box in the freezer LOL. This happened on day 2 or something and so I honestly don't see it as a fault of the polish as it didn't happen on any of the rest of my nine digits, I blame the baked potato entirely! 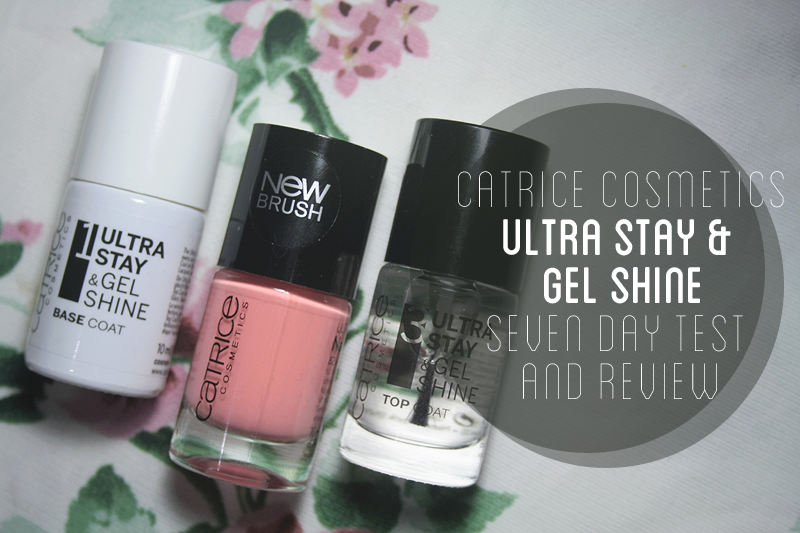 They've kept their shine but it's definitely dulled over the week but all in all, if you're looking for a drugstore system to keep your weekday mani in check then definitely check out the Ultra Stay and Gel Shine system and you don't have to worry about removal since it just comes off with regular nail polish remover. I hope you've enjoyed the post and admire my dedication for keeping my nails plain for an entire week LOL. I'm sorry for my recent absence from the blog. Uni had me feeling a bit down and since I'm motivated to get my room sorted out, I've been spending my weekends basically catching up on TV and clearing out so I've not had time to do blogging but I hope I'll be back on the bandwagon soon! If you want to see anything in particular from me, don't hesitate to say, I'm always looking for inspiration. Until next time lads! It's another quick post today but sure I couldn't let the 17th March go by without some sort of St. Patrick's Day nail art. This is actually the first St. Paddy's Day in a good few years that I haven't had to work on and you'd think I'd have these grand plans of going out, having the craic or more likely grabbing a bin for my friend to be sick in but no, I'll be doing uni work because outlines and proposals wait for no man! 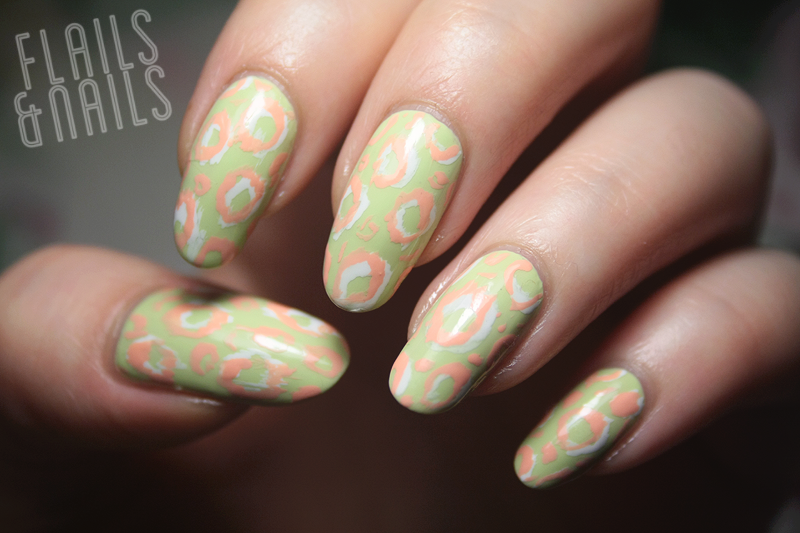 So today's look features the ubiquitous green, white and orange but it's more of an abstract, retro looking print. Not quite ikat or leopard print, it looks like something you might find on a dress in a vintage shop and I quite like that. P.S - It's St. PADDY'S Day, not St. Patty's Day! Fashion weeks from New York to Paris have been all over our instagram feeds these past few weeks and of course pretty clothes that I'll never be able to afford mean nailspiration. I decided to try and replicate this Dior look since I really like the colour palette and it is quite graphic, almost like a leopard print but not quite. 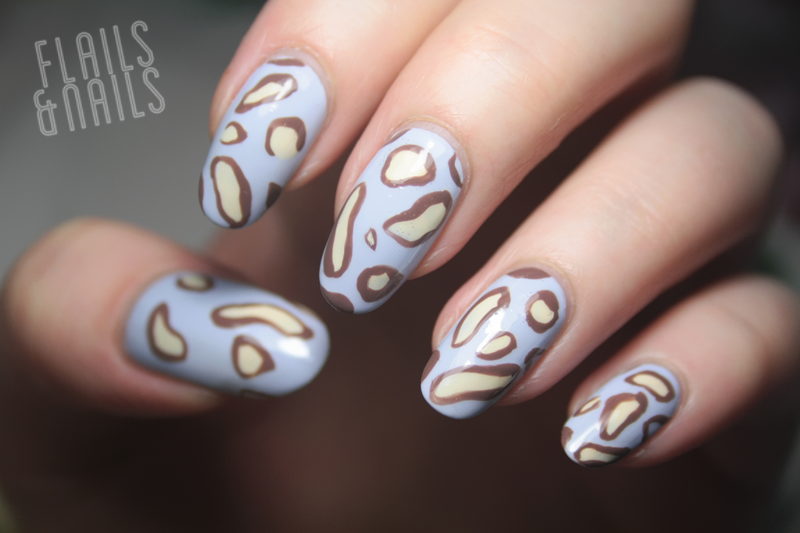 I used some of the new Barry M Speedy shades for this look, along with Mocha from the Matte collection. You can obviously change the colour way of this look to whatever you want but I think it's a cool alternative to leopard print while using a lot of the same technique.